Today we join organizations and individuals across the country in recognizing the National Day of Racial Healing. Part of the W.K. 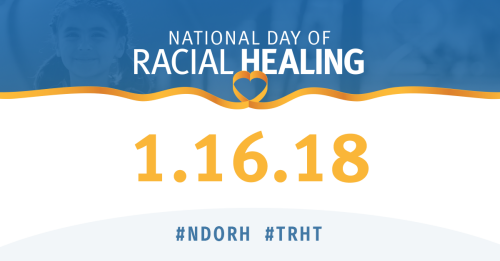 Kellogg Foundation’s Truth, Racial Healing & Transformation effort, NDORH is opportunity for people, organizations, and communities to call for racial healing, bring people together in their shared humanity and take action together to create a more just and equitable world. Whether visiting our Detroit Historical Museum exhibition, attending an event, getting involved with one of our 100+ community partners or exploring our online resources, we want those who engage with Detroit 67 to appreciate the importance of all of our individual stories and see them as crucial to shaping the future. 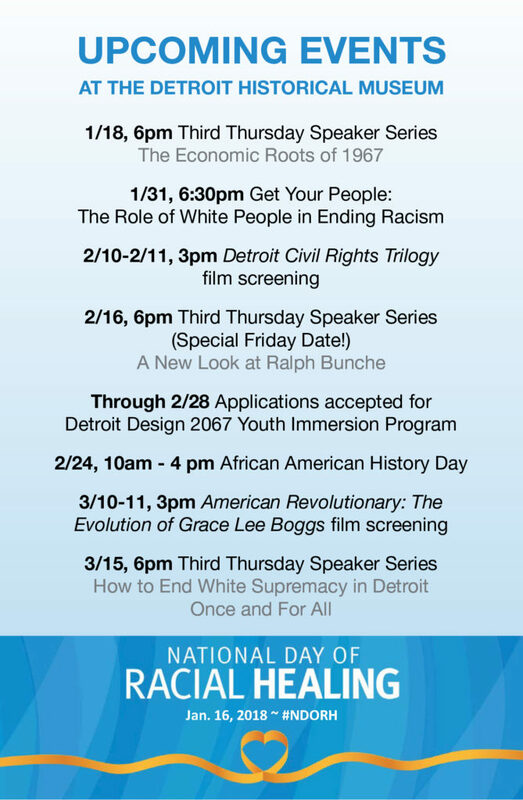 As we begin the new year, the Detroit 67 team is looking forward to new opportunities to bring the community together – attend an upcoming event from the list here or follow us on social media for more.